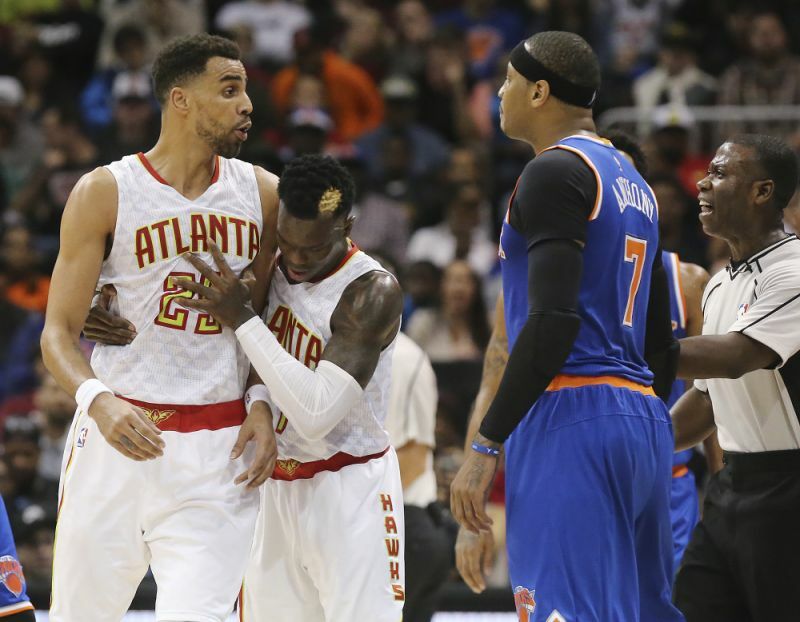 Carmelo Anthony is (technically) an Atlanta Hawk. Don't expect this marriage made of misery to last, however - Melo will be waived soon to become a free agent, according to ESPN's Adrian Wojnarowski. The deal, which nets the Oklahoma City Thunder Dennis Schroeder and Timothe Luwawu-Cabarrot (who is coming from the Philadelphia 76ers in exchange for Mike Muscala from Atlanta) at the cost of Anthony's deal and a protected first-round pick, improves the Thunder's second unit considerably in an already-stacked West. Melo is likely to join a contending team - most sources have the Houston Rockets as a likely destination despite the famous rancor between he and coach Mike D'Antoni - once waived by Atlanta, though the Miami Heat have been connected with the aging wing as well. For those of you wondering if he might be a worthwhile depth piece on the Boston Celtics bench, I would like to take the opportunity to direct you to my most recent (if wordy) article on exactly that topic.